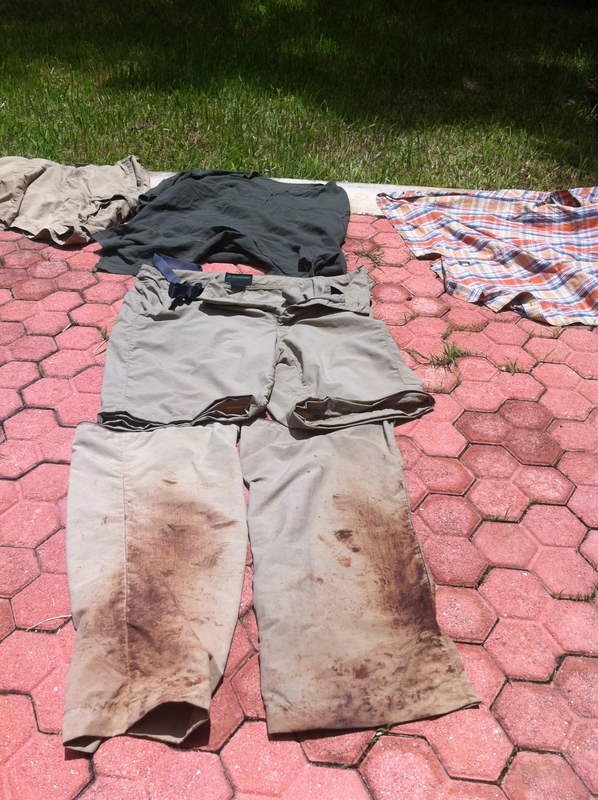 In the real-life crock pot of the Yucatan Peninsula, gear is important. JAGUAR TRACKS ON A MUDDY TRAIL, orchids, birds as thick as mosquitoes, limestone ruins of the ancient Maya shining brightly through the jungle green — it’s all NatGeo fodder and it’s all there, just waiting in the hot, wet, woods. Blue jeans are a terrible idea. Naked has some appeal. But ticks, bot flies, and many of the million known insect species are little Romeos, meaning you have to cover your party parts with gear that’s light, quick-drying, and comfortable. When Sage recently sent some complimentary gear my way, they promised as much. On a recent trip to Mexico, I put it to the test. Before getting to Merida, I had a few days of work to do in Mexico City, so I was packing for two very different locations. Mexico City rests at about 7,500 feet above sea level and hangs at between 50 to 70 degrees Fahrenheit year round. Merida is plopped down on the Yucatan Peninsula at 33 feet above sea level; it’s wetter and about 20 degrees hotter than Mexico City at all times. With limited space in my luggage, I was happy the Seychelles Convertible Pant ($80) and Quest Ultra-Light Rain Shell ($200) both folded and fit nicely in my briefcase alongside my water bottle, emergency granola, toilet paper, and so on. In Mexico City, the Quest Ultra-Light Rain Shell was worth its 10-ounce weight in gold while I transited back and forth through the city’s crawling traffic. It fit well over my suit, kept me dry, and was a good second layer over a t-shirt to ward off the early morning cool. A week later, I stepped off the plane in Merida. It was like diving out of an Anheuser Busch commercial and landing in a south Mississippi swamp. Good to be home and great to trade the suit for the Seychelles Convertible pants. They were comfortable, light, and sharp enough to wear in Merida’s museums, restaurants, and stores. But they really proved their worth in the community of Oxkutzcab and, even more so, in the nearby jungle reserve of Kaxil Kiuic. For three days I wore the Seychelles and carried the Quest Rain Shell in my man bag while I walked the forest, climbed ruins, pursued bugs and birds, and attempted to follow a cat with a track nearly the length of a pen — I’m still not sure why on that one. Even though the Yucatan’s Puuc region has dry forests, there’s nothing dry about being there. The sweating begins at sunrise, three steps out of the hammock. The early afternoon rains bring hard and urgent relief with little warning. The sweating returns with the rain’s retreat. So, how’d the gear do during three days in a crock pot? On the jacket, Sage’s GeoShell, YKK water-resistant zippers, hood, and adjustable cuff kept the rain at bay. It breathed well and even worked as an impromptu dry bag for my SLR when I got caught in an afternoon dump. Each night, I hung the Seychelles and they were dry and ready by morning. 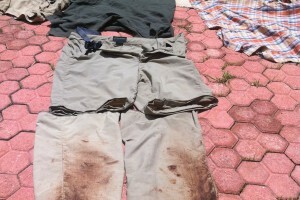 The convertible pants worked well for walking, climbing, and sitting; and unlike some others I’ve owned, they had heft enough to stand up to snags on the jungle trails. If you have a hard time zipping a leg onto the pants, take a deep breath and zip it onto the other side as designed. After five minutes of swearing and tugging, my wife calmly took over. She zipped one side and then the other within a moment, smiled, and walked off. No zippers were injured or killed in the performance of this review.